Capt. Panagiotis N. Tsakos was born in Kardamyla on the island of Chios, Greece from parents both descending from seafarers’ families. For young Panagiotis the sea has always been in his blood; thus, going to sea was a natural course rather than a choice. Yet, this destiny was due to become a lifelong passion which created a distinct marine culture in the years to come. Capt. Tsakos studied the profession of becoming a captain and graduated from the Livanos Marine Academy at his hometown Kardamyla in Chios, the birthplace of a number of prominent personalities of the maritime industry. He then embarked on a maritime career, promoted through the ranks to Captain and thereafter advanced to a shipping executive with a major Greek Owner. 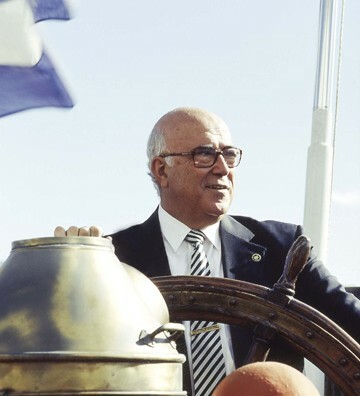 Striking out on his own, it was natural for him to lead a small group of investors- comprised of family members and friends- on to the acquisition of the first Tsakos Shipping & Trading S.A. ship, back in 1970. Surrounded by his brothers and friends, inspired by his life time companion and wife Dr Irene Saroglou, and thereafter supported by his beloved children Niko and Maria, he has lead that little company to its current proportions of a diversified fleet of approximately 70 vessels, whilst expanding its investment base and attaining successful sustainable growth over all these years, through good and bad times for the industry. Captain P. N. Tsakos has always been a fervent advocate that the ultimate and basic driving force of the Group’s success is its people and moreover the officers and crew onboard vessels. Within this context he devotes most of his time in his own people – the seafarers – attracting and maximizing human (male & female) potential and enhancing advancement of talented and committed associates both onboard and ashore. 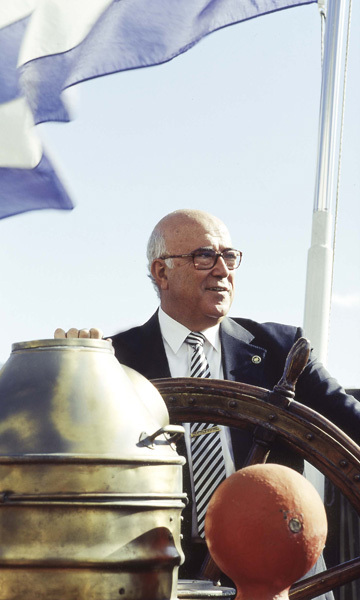 Within this context he visualized and created The Maria Tsakos Foundation- International Centre of Maritime Research and Tradition, aiming to promote social acknowledgement of the maritime profession and further enhance its growth potential in the generations to come.